Three years ago, during campaign season for the Undergraduate Student Government (USG) at Stony Brook University, a candidate for USG president told me that Senate meetings were open to the public. The week after elections ended, I went for the first of what turned into dozens of Senate meetings I would attend over the next two-plus years. By the spring of my sophomore year, I had decided that I too wanted to get elected. My first bid for Senate that year was unsuccessful, but I tried again the next year and won that election. Over 4,200 students voted in the USG election three years ago, according to the USG Facebook page. Last year, barely one-third as many people cast a vote. A 1-in-13 student voting rate is strong evidence that USG is failing to sufficiently reach the students we are elected to represent. I will not claim that USG is doing a terrible job, nor will I claim that we’re doing a great job, but I will definitely admit that I could have and should have personally done better. So what does USG do that is so important? The most visible part of what we do is funding clubs and sponsoring events. Very frequently, the latter is successful, but when things go wrong, it gives USG a negative image — just like when the internet goes down, it’s more noticeable than when it’s working perfectly. In my opinion, the more important part of USG’s mission is advocacy. 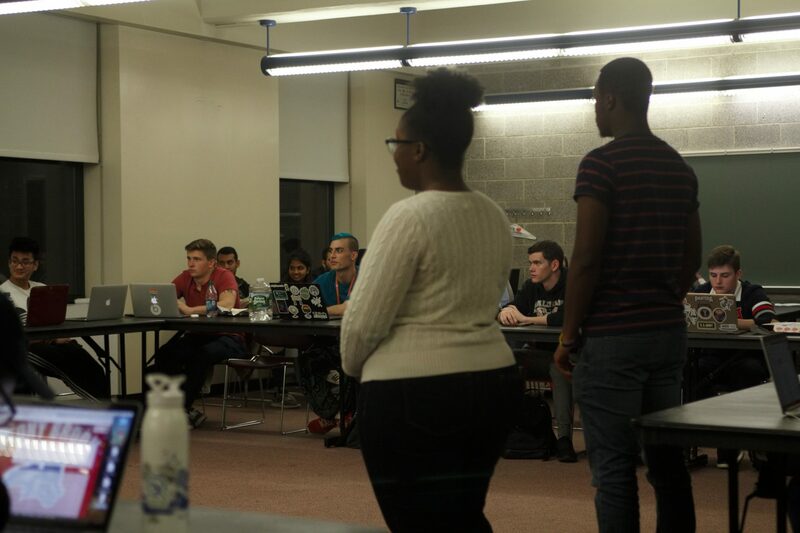 The preamble of USG’s Constitution contains the sentence, “[t]he USG shall provide leadership that ensures the voice of the undergraduate student body will be a powerful force in all decisions made at the University.” Stony Brook, like all other SUNY schools, follows a model of what is called shared governance: whenever the administration makes a policy decision that impacts a constituency (students, faculty and/or staff), representatives provide feedback on the decision before its implementation. USG carries that responsibility and power for undergraduate students. We appoint 10 undergraduate students to serve on the University Senate, the campus’ main body for shared governance. The people who get elected should be people who are excited to represent students on these committees and advisory boards, rather than just those looking for another job or seeking to add “officer of a $3 million nonprofit” to their résumés. They should focus on building relationships with the administration. These people should promise to be open about USG activities and should do so proactively instead of trying to conduct damage control after backlash. And they should be people who have earned your trust over long periods of time, not who borrowed it for a minute or two so that they could get your vote. You shouldn’t just take my thoughts on this matter as fact — you should form your own opinions of individuals running based on studying the candidates. It may take some additional time on your part, but it will make USG and the university a better place.